I was standing where you are on that riser more than ten years ago. Yes, that's right. A decade ago I was wearing that exact same uniform and rocking that same navy blue polo. I'm quite surprised that I'm not feeling more insecure about this age gap; however, I think it's due to the fact that it feels like I was just 16 the other day and I'm pretty much going to look the same until I hit 50, at which point I'll turn into an Asian grandma overnight. The start of the choir season is one of my favorite times of the year. I remember my excitement to start choir rehearsals and see if I had grown tall enough over the summer to stand with my friends who had graduated to the back row of the choir. The answer to that question was: No, I was not taller. That didn't hinder me from eventually working my way to the back and finding a window to see the conductor through. I would transfer all the dates on the choir schedule into my school agenda and contemplate how exactly I was going to get to all the rehearsals and concerts that were proposed for the season. I would dread having the "the talk" with my conductor if she noticed a wavering in my commitment. If there was a tour on the horizon, I would be wondering exactly how many grocery vouchers and Easter lillies I would have to sell to meet my fundraising quota. Singing with you all once again on Sunday reminded me of my passion for choral singing that was fostered in my teenage years. I am the youngest child in my family. The result of this was that a majority of my parent's resources had already went into exposing my older siblings to a diverse array of activities with varying levels of success. They had the opportunity to try team sports, dance classes, and art classes while my main extra-curricular activity was going to group math lessons in a rented room at the Callingwood arena on Sunday afternoons. It wasn't even that I was bad at Math; the rationale was that I could only get better with practice. It was the difference between an 80% and a 95%. Plus, my siblings were already going so I might as well tag along. Enrolling in choir when I was 11 was my one shot at trying out a true extra-curricular activity. My uncanny ability to pitch match and mimic the lyrics of 80s Canton-pop songs during karaoke sessions inspired my Dad to develop my skills further. 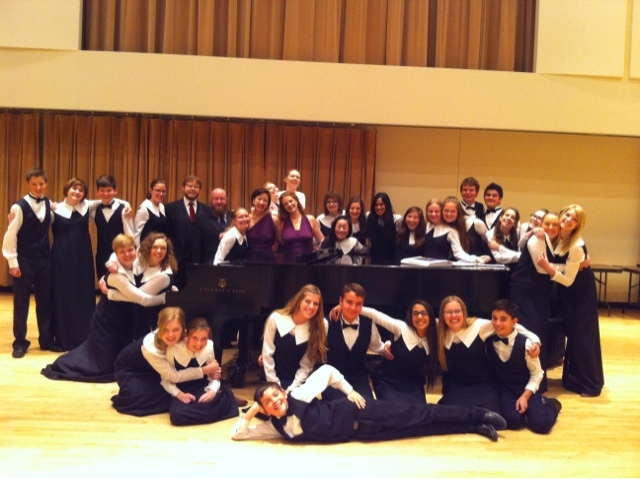 Once I began choir, it triggered a cascade of musical education development, such as music theory and piano, to strengthen my choral interests. 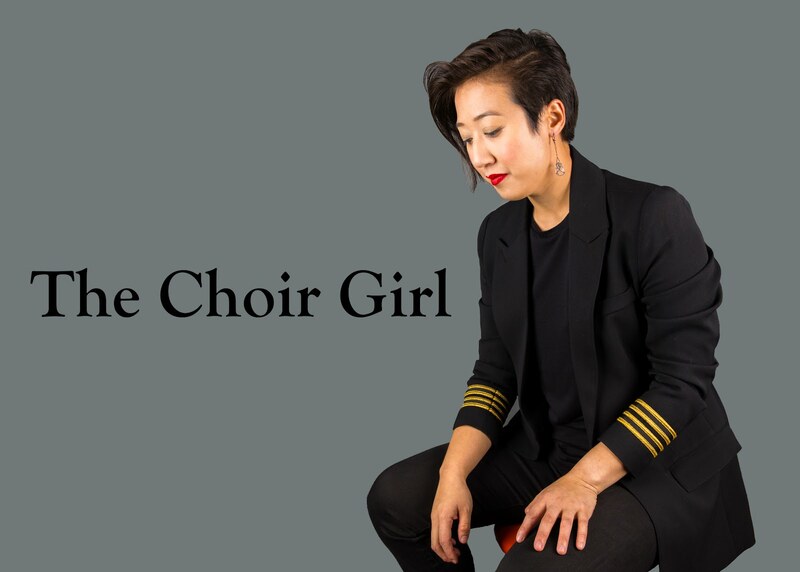 When I finally graduated from the Chamber Choir, I remember my Conductor, Heather Johnson, telling us that we were going to go through life looking to fill the void that the Choir would leave in our musical core. I took this statement to heart as my close choral friends and I clutched at one another with teary eyes. Many of them were leaving to study at different Universities. Since that time, I have been singing and searching for a new ensemble that would fill the void left behind by my Youth Chamber Choir. I challenged myself to sing in new groups, try out different repertoire, and meet other choristers. Three years ago, I was lucky enough to be accepted into Pro Coro Canada under the vision of the new Artistic Director, Michael Zaugg. I finally found the choral sound I had been searching for. If you didn't love music or singing, you would have chosen to do something else by this point in time. As much as we try to rationalize how cool it is to sing in choir, there's a lot of other pretty cool stuff that you could also be spending your time on. Even if you feel burned out after a consecutive run of rehearsals preparing for extra concerts, you feel a sense of productivity and satisfaction at seeing how much you can accomplish. Plus, you can't help but feel pride when you look down at your sleeve and see your name embroidered on the arm - a reminder that you are part of a team. There's a lot of unknown variables coming your way. You get to navigate the emotional spectrum from incandescent elation to crippling insecurity over upcoming life choices. Some of you may think I'm pretty fancy because I sing in a professional choir, but the way I see it, I am no different from you. I love singing and I'm willing to keep working to get better at it. Here comes the part where the sage alumni chorister wishes to impart some wisdom. If I were you, I'd be rolling my eyes and looking for a loophole to be defiant since the last thing I want to do is what somebody is telling me to do. Bear with me though, I'm going to keep my advice simple: keep singing. This doesn't mean that you have to be studying to be a professional musician. If that's for you, fantastic! However, you may find that you don't have the time to be in a choir while developing other skills. Music has a way of evolving to fill the void in your life whether you're in a choral group or just singing a capella while having a dance party in the privacy of your bedroom. My advice may seem simple enough but it's surprising how challenging it is to make time for things you enjoy as your other responsibilities increase. I encourage you all to savor the time that you have with your fellow choral peeps and look forward to the future with anticipation. You never know what awesome things are coming your way if you continue to allow the presence of music in your life pursuits.